Pros: The hit and pull is nice and smooth, easy on the throat. Don't pull as hard as you would on a piece with a wider down-stem. Cons: Some minor splash back with the water filled to just above the diffusion disc. The down stem isn't quite straight but air flow isn't impeded. Comments: This is the 3rd Gogo water pipe. 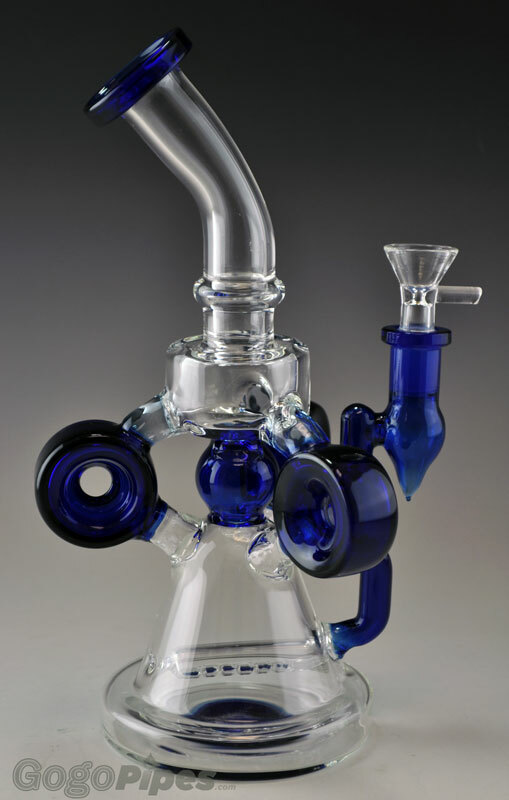 Of the three, 32" tripple tree with perc downstem, 12" single tree-perc and now this one, this one hits the best. The 12" died, the 2.5 foot was 1. too much and broke a stem on a tree. I don't expect these to be queen pieces, I expect them to hit well and do their job. The minor defects are not huge but when dropping $100 for a pipe that would $300 at a head-shop, I can't complain.